Canon's PowerShot G-series is one of the most iconic lines of digital compact cameras, with the original G1 having debuted right back in September 2000. The original models sported fast lenses, articulated LCDs, optical viewfinders, Raw data recording and lots of external control, and were aimed at tempting enthusiasts who usually shot with 35mm SLRs to dip a toe into the brave new waters of digital photography. The line took a hiatus for a couple of years between 2004-6 when affordable APS-C SLRs started to appear, before being reinvented with the smaller, slimmer G7 - redesigned as a compact camera for SLR-owning enthusiasts. To the dismay of many G-series fans, the G7had a slower lens, fixed screen and didn't record Raw. Since then the G7's design has provided the basis for a number of subsequent models, adding back Raw and the swivel screen along the way, right up to the G12 that's been on the market for two years. In the meantime Canon created the G1 X - a variant on the same basic design with a much-larger sensor, and at a correspondingly higher price-point. Now, with the launch of the G15, Canon has added back one of the original selling points of the G-series; a genuinely fast zoom lens. This covers the same 28-140mm equivalent focal length range as the G12's, but is a stop and a third faster, at F1.8-2.8 rather than F2.8-4.5. This gives the G15 a distinct advantage over its predecessor not only in low light, but also in the ability to blur backgrounds a bit more when shooting at the long end of the zoom. But while Canon gives with one hand, it takes away with the other. The G15's rear screen is fixed, rather than articulated, a move that Canon says was necessary to make the camera smaller and more pocketable. The G15 is indeed significantly slimmer than its predecessor - by about 15% with the lens retracted - but we can't help but feel that as many potential buyers will be dismayed by the loss of this useful feature as there will be enthusiasts who are delighted by the camera's portability. The G15's screen itself is a large, high-resolution 3" 920k dot unit with a tempered glass cover and a wide viewing angle. 28-140mm equivalent F1.8-2.8 lens, 4-stop 'Intelligent IS'. The G15 uses a Canon-made 12.1MP 1/1.7"-type CMOS sensor, the same as that found in the co-announced S110 (and similar to the one used on the S100), which offers an ISO range from 80 to 12,800 in concert with the DIGIC 5 processor. As we'd expect, Full HD movie recording is available, at a framerate of 24 fps and stereo sound from the built-in microphones. The G15 also (finally) gains a dedicated movie record button, for the first time on a small-sensor G, and the lens can zoom and focus during recording. One notable improvement from the G12 is distinctly quicker autofocus - 53% faster, according to Canon - which if true, would make the G15 the fastest-focusing compact the company has made. The G15's CMOS sensor also enables rapid continuous shooting at 10 frames per seconds, although only in the somewhat-restrictive High Speed burst HQ mode. In other modes the G15 will shoot at 2.1 fps. I purchased a G15 a few years ago before a trip to New York. Frankly, it was just too inconvenient to carry around one of my DSLRs on and off subways, to the Giants Stadium, and other places with a couple small kids along for the ride. But, I certainly didn’t want to go all the way to NYC without the ability to capture great shots. I came home with a few hundred wonderful photos taken throughout the city; day and night; indoors and out. What a great investment. If this camera had the ability to pin-point focal points, I’d leave the D200 and D3100 home 90% of the time. In addition to the camera’s performance, I really like the solid feel of the camera. Very well built. I am an old time black and white film photographer, but have also been shooting digital for about 10 years. I do shoot quite a lot of black and white images with the G15. (I also used the G12). I travel quite a bit in Europe--mostly Paris and Rome. This is the best travel camera I have ever used. Like all cameras, it's a compromise. I've tried others such as the Nikon 7800? and a Nikon super zoom. But I sent them back. RE: the G15, for the money, for the viewfinder, speed, build quality, convenience, it's the best for me. I also like the quality I get when shooting black and white. It seems closest to the spirit of an old Nikon such as the FM or FM3A. I had an Oly XZ1 for about a year and then sold it. The IQ was good and the lens sharp but I found the sensor noise not good at high ISOs, the video awful, the handling a bit awkward (esp the lens cap and lack of grip), no viewfinder etc. 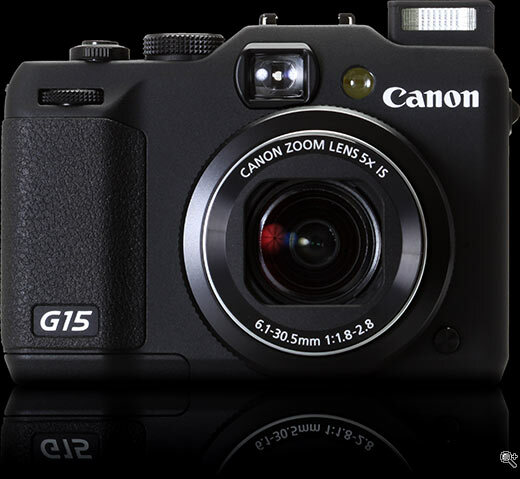 I have just purchased the G15 at a considerably reduced sale price here in Oz and couldn’t be more delighted. It handles well, has great low light performance, bright sharp lens, good video and handling is good. As a complete package, it’s basically everything I wish the XZ1 could have been. I got myself one of these 3 months ago at a store sale. They were making room for G16 so the price was lowered to less than EUR300 (a bargain, compared to G16's EUR430). I had thrashed my old Canon P&S just two days prior so I was in the market for an inexpensive replacement (read EUR100 to EUR200 tops). All I can say is: I payed a little bit more but got more than I ever expected. It is an incredible little camera, I fell in love with it. It is compact but beats my Canon 500D in some areas. With quality lighting in place I can barely tell the IQ difference between those two physically totally different cameras. I can't imagine anyone ending up disappointed with this little gem. Have to say, G15 is a classic DC in last years. It's an interesting list of "cons" here. I've had cameras with articulating screens, and found I really didn't use them all that often, so really don't consider it much of an issue either way. "No automated panorama mode", again, is a plus to me. The stitch-assist features are very useful for producing high resolution panoramas with user control if things don't stitch perfectly the first time (where the 'auto' ones fail so often, I feel they belong on camera phones and low end point and shoots, not on enthusiast models...I really hate having only that automated option, forcing me to use manual settings, on my LX7). I will often set my max. auto ISO to 1600 anyway, so that "con" really isn't much of one, and the HDR issue is of no concern for me. So all in all, this is a very impressive list of 'cons'. If these are the worst faults of the camera, it sounds like Canon has done a very good job. Just Posted: Studio test samples from the Canon PowerShot G15. Although closely resembling the existing G-series cameras, the G15 is slightly smaller and features a faster lens than its predecessor. It also gains the latest version of Canon's 12MP 1/1.7"-type CMOS sensor - promising what should be a significant performance improvement over the now rather dated 10MP CCD in its predecessor, the G12. What difference does that sensor make? Have a look at our studio test images to find out. 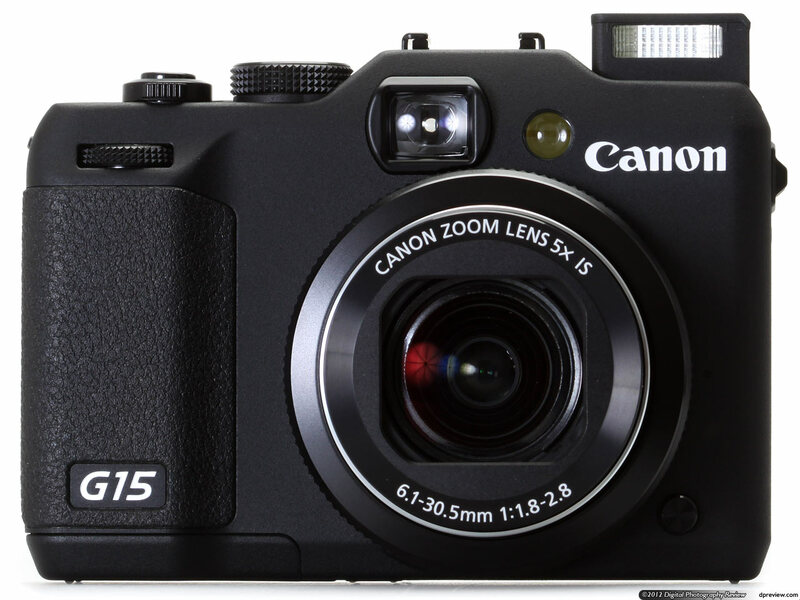 Just Posted: Our Canon PowerShot G15 hands-on preview. It would have been easy to assume the small-sensor PowerShot G series was at an end when Canon introduced the 1.5" sensor G1 X, but the G15 continues the 1/1.7" sensor tradition and looks back to the series' beginnings with the addition of a bright lens. The 28-140mm equivalent, F1.8-2.8 lens offers a pretty impressive specification in anyone's book (it's over a stop brighter than the G12, all the way through the range). So is the camera to stand up to the enthusiast camera onslaught? Read our preview to find out our early thoughts.